The Sam Dining Table is perfect for dining in small spaces. Compact and with a simple style, this stylish table works anywhere. The Sam Dining Table offers the perfect combination of form and function, making it an excellent addition to your home. This contemporary table features a solid teak slat top for a beautifully natural look. It is perfectly paired with an aluminum pedestal base, offering a sleek complement that will work well in the modern home. 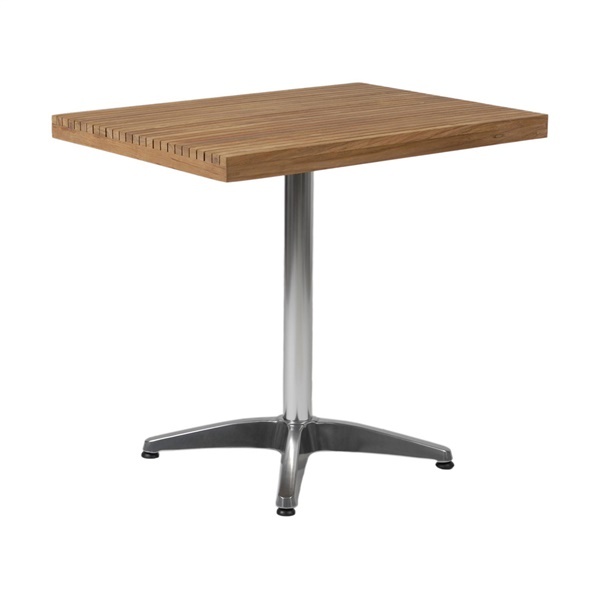 The Sam Dining Table also features adjustable feet for stability. is this table folding? I need a modern table that can fold up for a multi purpose room in a clubhouse.